Picked these up a week ago on eBay. His & hers. Seem super nice - scary sharp. I love this addiction! Those are some pretty good knives. I have 2 also, though I don't carry 'em often. The assisted opening is just faster than I want when at work. Kershaw makes a nice knife. I didn't think I'd like assisted openers, but I do. 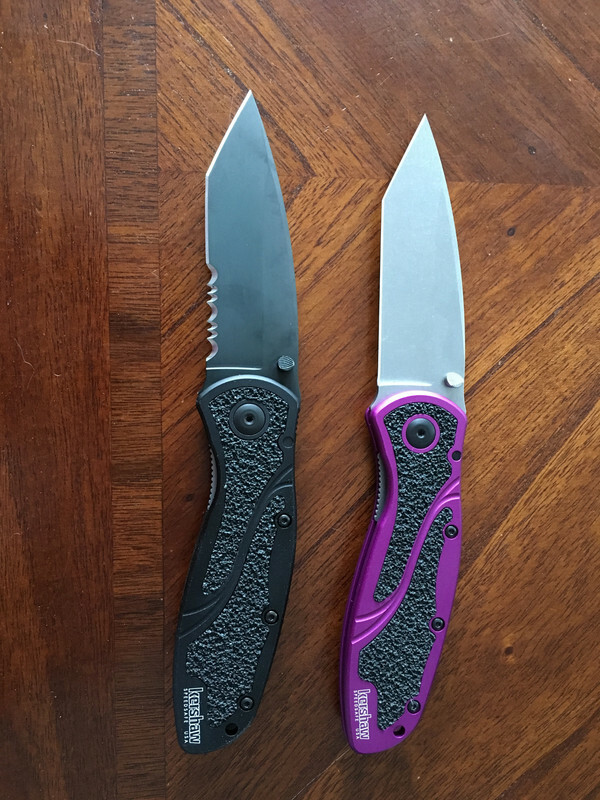 I’m usually a Spyderco guy, but lately the many varieties of very affordable Kershaw offerings have really caught my eye - and a small portion of my wallet! Good stuff! I jave one like the black one. After 2 years of daily carry, the "sandpaper" came off. I returned the knife and Kershaw put on new "sandpaper" and sharpened it at my request. It cost me shipping in one direction. I am happh with it.